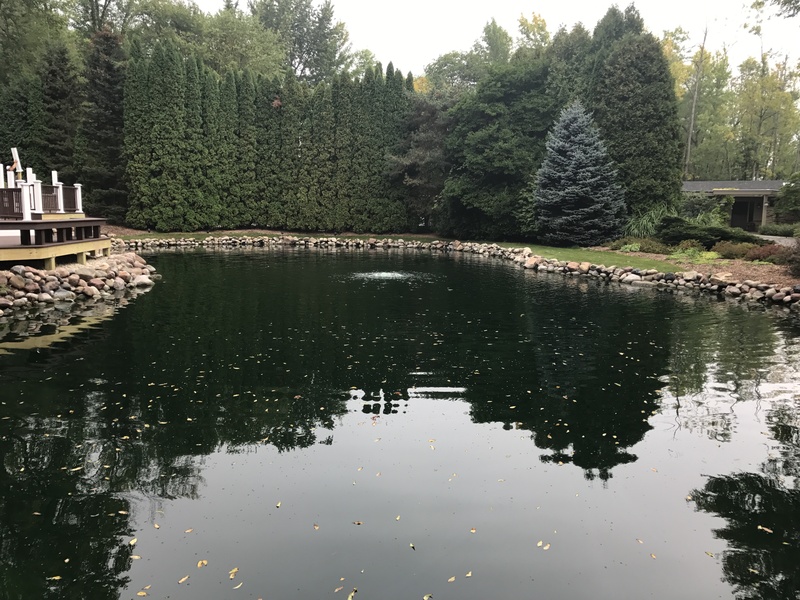 Aeration Equipment Installation & Maintenance - Lake and Pond Solutions, Co.
Services include an assessment of DO concentrations and determination of aeration needs. Proper sizing and placement of these systems is required to prevent fish kills and nutrient re-suspension, promote healthy fish populations, and improve water quality. 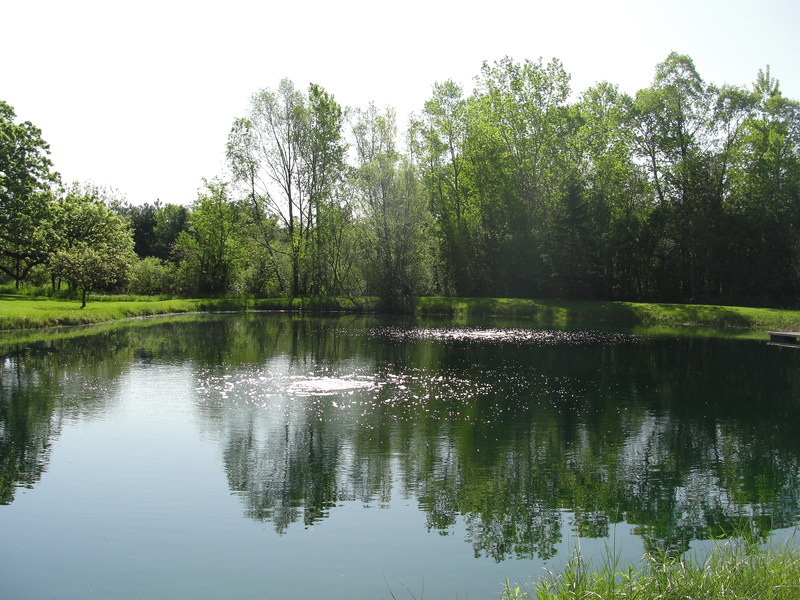 WE STRIVE TO PROVIDE CUSTOM AERATION SYSTEMS SPECIFIC FOR EACH POND. In addition to sales, we also install and service all types of systems. Water movers are available, which reduce stagnation in shallow areas and provide open water around permanent piers or docks during winter months. Aeration is the addition of oxygen to water. The greatest oxygen transfer occurs when the water contacts the surface, so proper mixing is important. Fountains pump water into the air by way of a submerged pump. While they are aesthetically pleasing, fountains are mainly surface aerators and will not be able to pull water from deeper sections of the pond. Diffused aeration pumps air into the water to create a boiling effect and a properly sized system should be able to turn the volume of the pond multiple times per day. We recommend fountain aeration where seeing and hearing water is a priority or for shallow ponds. But in deeper ponds, the most efficient means of enhancing water quality is diffused air aeration. There are three main components to the aeration system: the compressor, diffuser, and air line. A rocking piston compressor is most often used and provides good volume and high pressure. They are also quieter and much more efficient than the rotary vane alternatives, drawing only 1.7 - 4.5 amps (at 115V). The diffuser is the single most important element of your system. Through years of field work, we've found a membrane style diffuser which provides great turnover rates. The non-stick coated membrane resists hard-water deposits and ultimately reduces the costs associated with cleaning. Air hose consists of 3/8 or 5/8 inch inside diameter tubing made from a self-sinking rubber material. These lines will not float to the surface like the cheaper poly counterparts. A seperate air line is run from each diffuser to the compressor manifold. 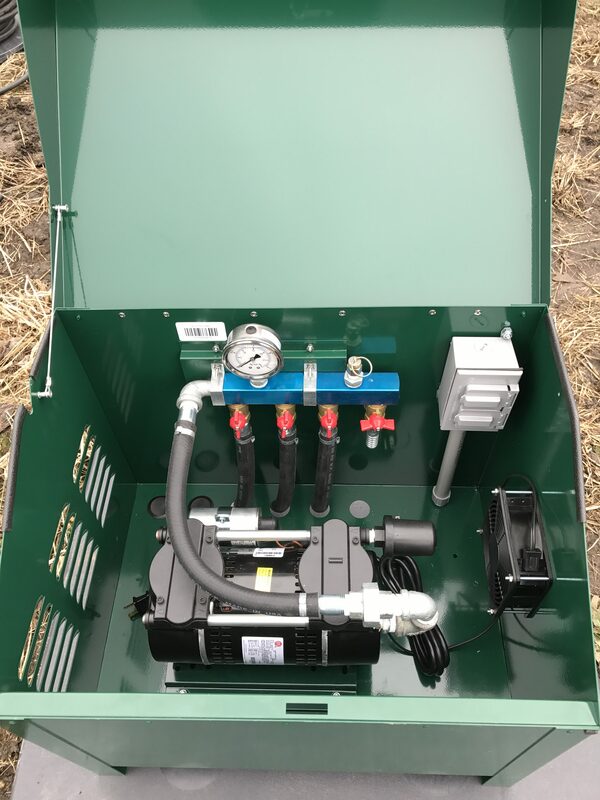 All aeration systems are housed in our custom lockable cabinets made from green powder coated steel. They come standard with a mounting pad and cooling fan and can even be built with outlets and soundproofing. 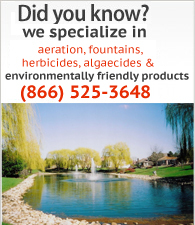 Lake and Pond Solutions offers a complete line of environmentally friendly products including aeration, fountains, herbicides, algaecides and more. Contacting Lake and Pond Solutions Co.